1X TIBETAN SILVER HEART WITH WINGS. 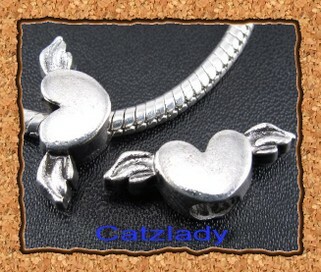 You are bidding on 1x Tibetan Silver Heart With Wings. I Liked To Think That They Are Angel Wings. A Lovely Dainty Charm Bead. Colour: Tibetan Silver, A Dark Silver Finish. Material: Zinc Alloy Metal (LEAD AND NICKEL FREE). Size: Approx 8mm x 20mm.